The Easter Show is a pretty special place, there's so much going on. We've got you covered for all the weird and wonderful things to do at the Sydney Royal Easter Show 2019. Have a cracking good time. Watch competitors battle it out at the Whip Cracking Championships. It's a full day of action (date TBA) where you'll see the youngest in the Pee Wee division through to the best on the planet have a crack in the Men's and Ladies divisions. Catch it all in the Woodchop Stadium. Created back in 2016 especially for the Sydney Royal Easter Show, the Cheese Burger Pie is a juicy meat patty topped with cheese and a pickle encased in a delicious golden pie crust. Why choose one when you can have both? Little Hands on the Land. A kid-sized working farm. Sadly, it’s only for kids aged 2-10 (otherwise we’d be there). It includes a chook shed, fruit orchard, tractor pull and farmer's market. Teaching little hands the story of agriculture from crop-to-shop. For all the carb lovers, this one’s for you! The Spaghetti Bun Burger is exactly how it sounds. You’ll find them at Bianco Kitchen at The Graze in the Daily Telegraph Paddock. 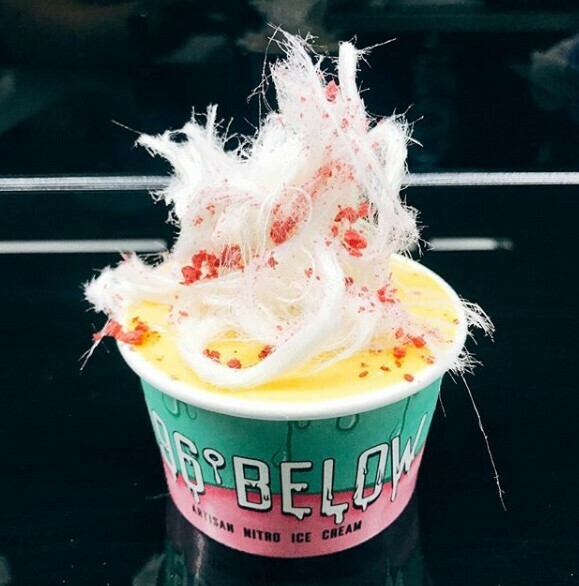 196 Below will be bringing their artesian nitro ice-cream to the Show for the first time. Select from Smash Pav, Choc Oreo Smash and Exploding Raspberry Sorbet Ice Cream to sink your teeth into. Find them at The Edge 96.1 Food Truck Feedlot. It’s kinda mesmerising to watch as the birds are lathered, fluffed and blow-dried ready for competition. Every afternoon you can watch puppies aged 3-6 months roam their way around the ring, melting hearts everywhere. Public Service Announcement guys, the Easter Show has its very own beer! Introducing the Show Stopper; a Pale Ale 100% grown and brewed in NSW. Only available at the 2018 Easter Show. Grab a glass at The Stables. Just don’t hog them. More HERE. Aptly named ‘The Beast’, this ride is sure to thrill as it spins and swings through 240 degrees, to a height of 45m – for serious thrill seekers only. You can walk an Alpaca (with the help of an experienced handler BTW) around an obstacle course. Alpaca my bags. 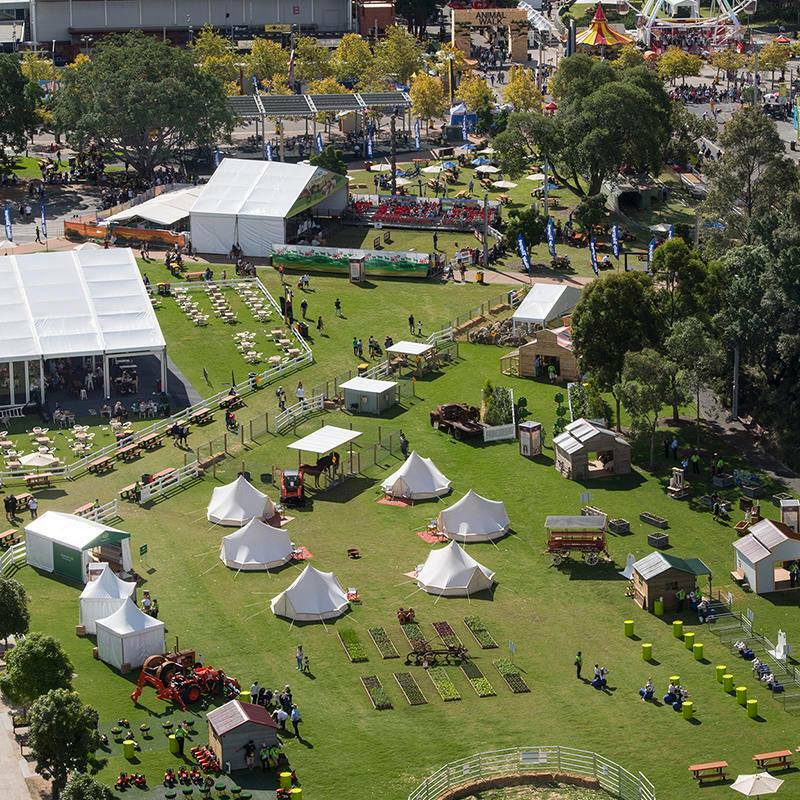 The Sydney Royal Easter Show is on from the 12 - 23rd April 2019 at the Sydney Showgrounds in Sydney Olympic Park.